It’s happened again. The day before I’m set to head off on a mind-blowing trip I have a feeling that I shouldn’t go, like something bad will happen while I’m away. I can’t quite put my finger on the reason why I feel this way which kind of makes it worse. It’s Mothers Day tomorrow and I feel like I should be spending time with Mum, which is definitely needed because I really don’t spend enough time with her these days. I’ve also been going through quite a bit of upheaval at work, so I can’t stand the idea of not being in the office next week because there’s so much to do and I feel like I have a point to prove. I also feel a bit guilty for travelling so much while Boyfriend stays at home; it’s all very well to be galavanting around the world but if I had a different job, these trips might equate to extra money in my pocket – which could go towards a house deposit or some other big item or event. Lately I’ve also noticed that these trips make me incredibly nervous. Perhaps it’s because I don’t really know many people going, or because the destination is so unlike anywhere I’ve been before that I don’t know what to expect, or maybe I’m worried that I’ll do something stupid and embarrass myself or get in strife. Overall though, it seems to me that I’ve lost a certain sense of “whatever, let’s jump off the deep end” that I used to have. Call it wisdom or call it anxiety, I have no idea.I wish I could get it back somehow, but maybe it’s just part of growing up. I am, contrary to what you might think by reading this, extremely grateful for the travel opportunities I’ve been given in the past 12 months. I am starting to realise, however, that travel isn’t just about the stamps in your passport or the number of countries you can tick off the list, but about the journey, the experience, the knowledge you gain and the memories you take home. I am definitely aware that this time of my life is the perfect time to be doing as much travel as I have been, and once I settle down with a mortgage and kids it will be so much harder, but I think I just realise that it’s the people who make the memories, not the places. Everyone knows that deep down I’m a hopeless romantic, and one day I want to be able to tell my grand-kids about the feeling I had watching Grandpa feed an elephant or something, and how happy I was in that moment because I could see how happy he was, too. 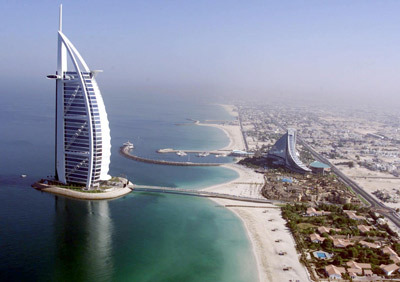 In 24 hours I will be flying out to Dubai, a place I’ve dreamed of for years. I can’t even comprehend what this place has in store for me and I know it will be one hell of an adventure. It’s also teaching me, though, what’s important in life and I think after this one I will sit down and re-focus, reconsider my priorities and start to make a life that includes a special someone else, not just myself.